The devotees stand crowded together, some holding trays arranged with fruits and garlands, others with hands clasped in supplication. The scent of incense and camphor mingles with smoke from the oil lamps. 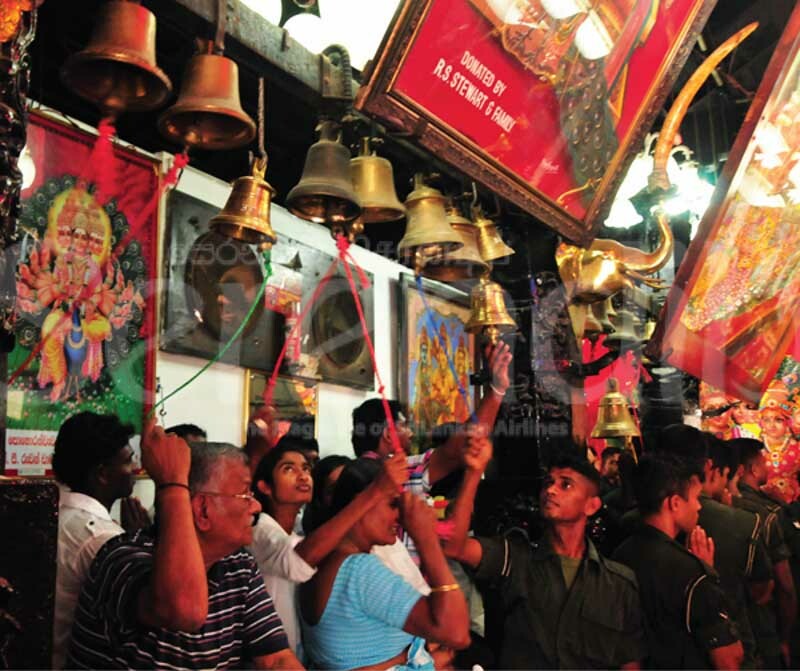 The drumming grows louder, the conch shell sounds and the devotees reach up to ring the bells hanging overhead. The sound is overwhelming, the atmosphere intense, a crescendo of devotion. The procession bringing in the kapu mahatthaya (official in charge of the rituals) is entering the sacred shrine for the puja (offering). 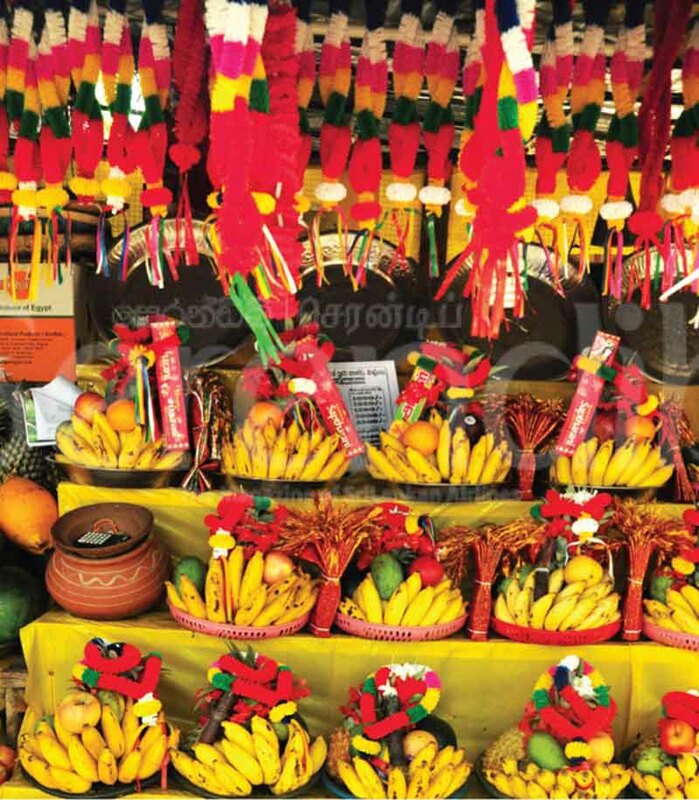 It is an age-old ritual still enacted day after day in the Ruhunu Kataragama Maha Devalaya at Kataragama, the jungle shrine in the south-east of â€¨Sri Lanka, considered the oldest and one of the most holy in the country. 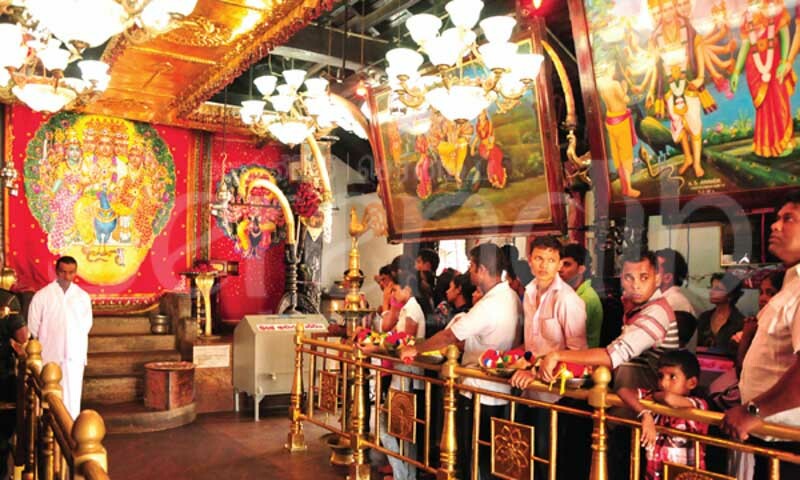 Its origins are shrouded in legend and mystery but all year through the faithful come - Buddhists, Hindus, Muslims and Christians, drawn by their belief in the divine power of God Kataragama. How God Skanda left the sacred mountain of Kailasa in the Himalayas to make his home in the forests of Lanka for the love of a beautiful maiden named Valli-amma who had been raised by the Veddahs is a story often told. Regarded by the Buddhists as one of the four guardian deities of this land, so dominant is his power that the entire south is known locally as ‘Deiyange rata' (God's country). The Hindus know him by many names - as Skanda - the God of War, Lord Murugan, Kadirkamam, Subramanya, or Kandasamy, the deity with six faces and twelve hands whose symbol is the lance (vel) and whose vehicle is the peacock. How God Skanda left the sacred mountain of Kailasa in the Himalayas to make his home in the forests of Lanka for the love of a beautiful maiden named Valli-amma who had been raised by the Veddahs (indigenous people) is a story often told. Kiri Vehera – the main shrine worshipped by the Buddhist devotees on the spot hallowed by the Buddha, has been built a little distance away from the 'devale' – the main Hindu shrine. There are many reasons for Kataragama's sanctity. 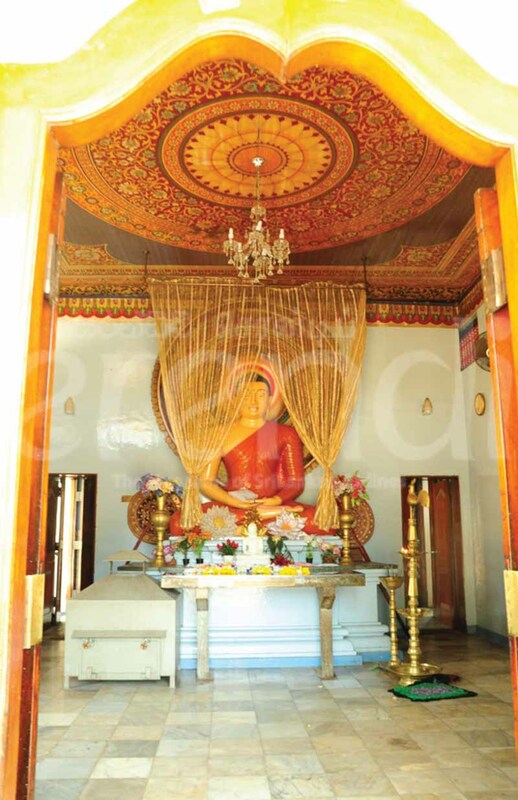 Chief among them is that it was hallowed by â€¨Lord Buddha who meditated here, making it one of the solosmasthana - 16 sacred sites visited by the Buddha which are Buddhist places of veneration in Sri Lanka. Kiri Vehera - the main shrine worshipped by the Buddhist devotees on the spot hallowed by the Buddha, has been built a little distance away from the 'devale' - the main Hindu shrine. According to legend the great warrior king Dutugemunu (2nd Century BC) sought the protection of the Kataragama Deviyo (god) before setting out to battle his arch enemy Elara and built the devale for the deity in 2nd Century BC in fulfilment of his vow. Kataragama was also considered the home of the warrior clan, the Kshatriyas who were invited to Anuradhapura by King Devanampiyatissa (3rd Century BC) for the planting of the sacred sapling Bo tree under which the Buddha reached Enlightenment. 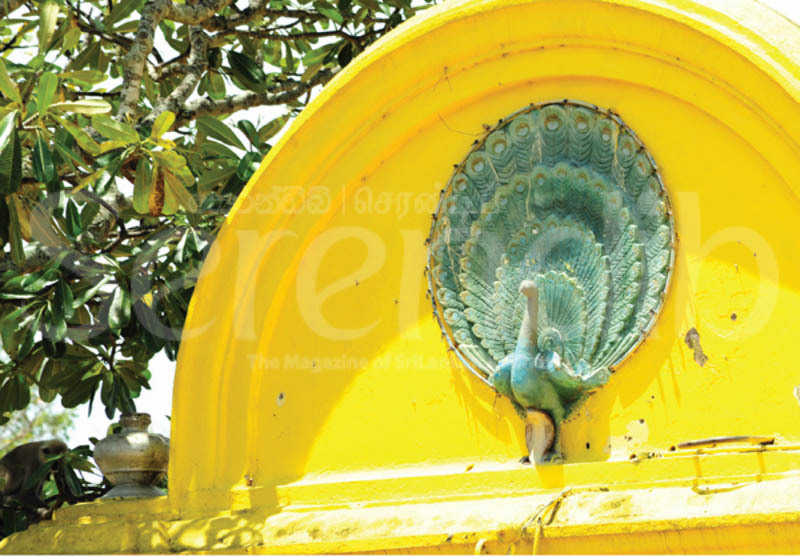 The chief kapu mahattaya of the Kataragama Devalaya, Somipala Rathnayake explains that although there are six principal shrines in India dedicated to God Skanda, it is believed that the deity has his abode here. It is a confluence of faiths - decades ago there were more Tamil devotees visiting Kataragama but now the number of Sinhalese have swelled. On our visit in early June, we met families from many parts of the country - Colombo, Matale, Bandarawela, some carrying infants, young children tagging behind wide-eyed, coming to seek protection, entreat blessings and fulfil vows. 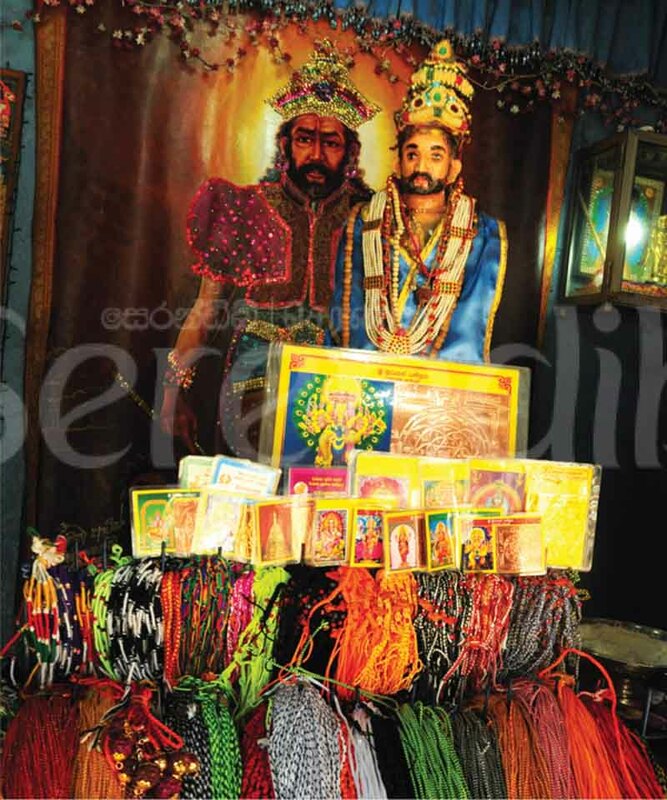 Rathnayake is himself heir to a tradition ordained by King Dutugemunu. The post of kapu mahattaya is a hereditary one, passing from father to son or male kinsmen. 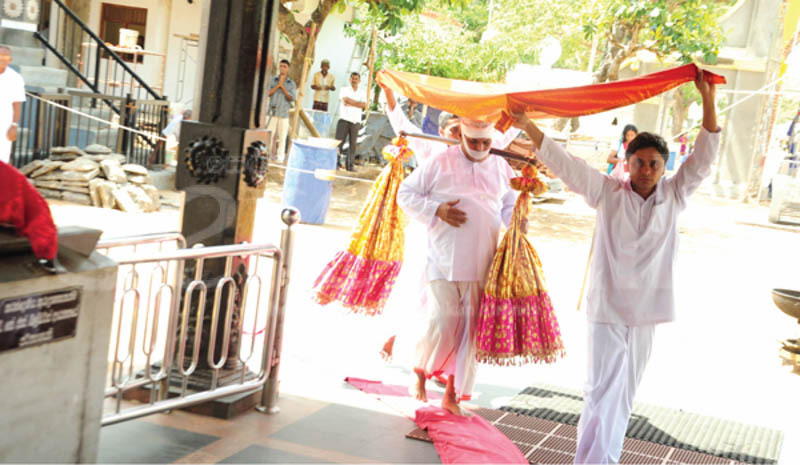 The Basnayake Nilame handles the administrative duties but the kapu mahattayas are entrusted with the religious duties involved with the worship of Kataragama Deviyo. It was a duty begun when he was just 16 for the now 74-year-old. 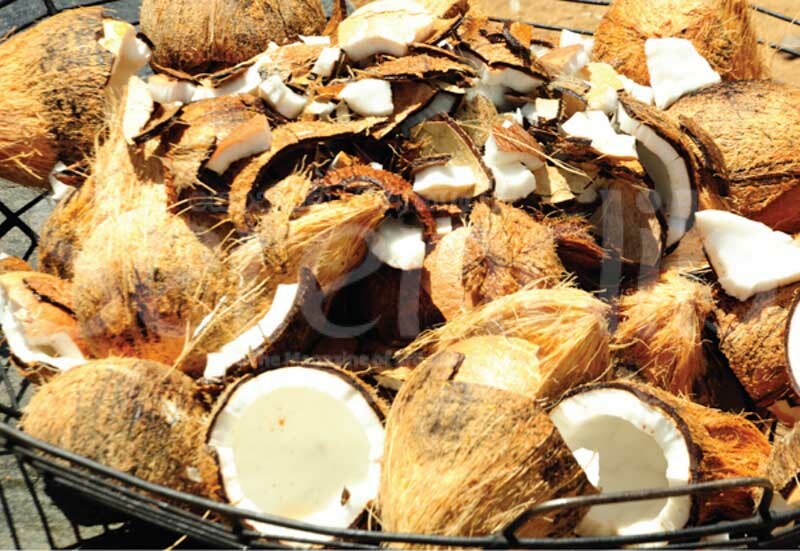 Today five kapu mahattayas share the duties, each taking charge of a month during which time they live at the temple. â€¨The day begins at 3.45 am and often ends close to midnight, with the three daily pujas in the Maha Devale taking place at 4.30 am, 10.30 am and 6.30 pm on weekdays. The Maha Devale, a quadrangular building is set in the middle of the large complex where peacocks and elephants are a recurring motif adorning the â€¨outer walls. Pilgrims begin their journey with the ritual cleansing in the Menik Ganga (River of Gems) and then walk up the broad avenue to the devalaya where through large gates, they enter the temple complex, some stopping to break coconuts on the way by dashing them on a flat piece of rock especially erected for the purpose. Next to the main shrine are the shrines dedicated to God Vishnu and God Ganesha. 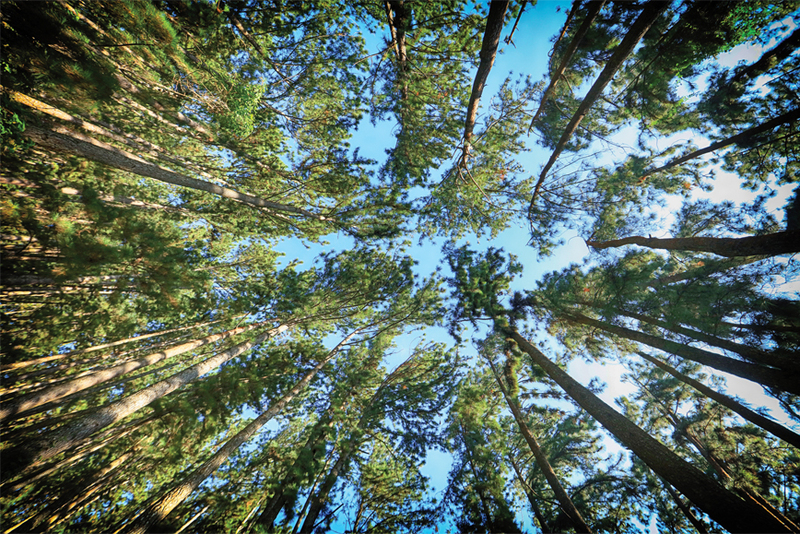 Devotees pay homage at the â€¨two Bo trees - one of them of special significance dating back to the 3rd Century BC. 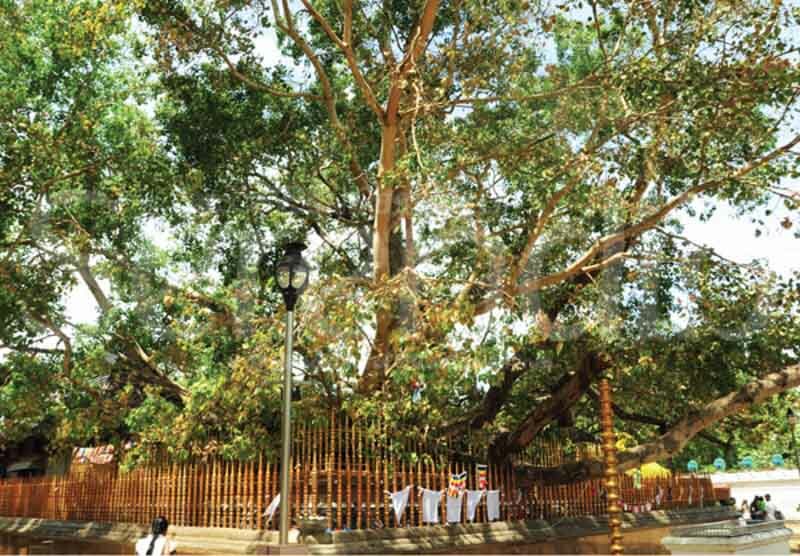 The Mahavamsa records â€¨that King Devanampiyatissa decreed that one of the first eight saplings (Ashtaphala Bodhi) of the sacred Bo tree in Anuradhapura be planted in Kataragama. 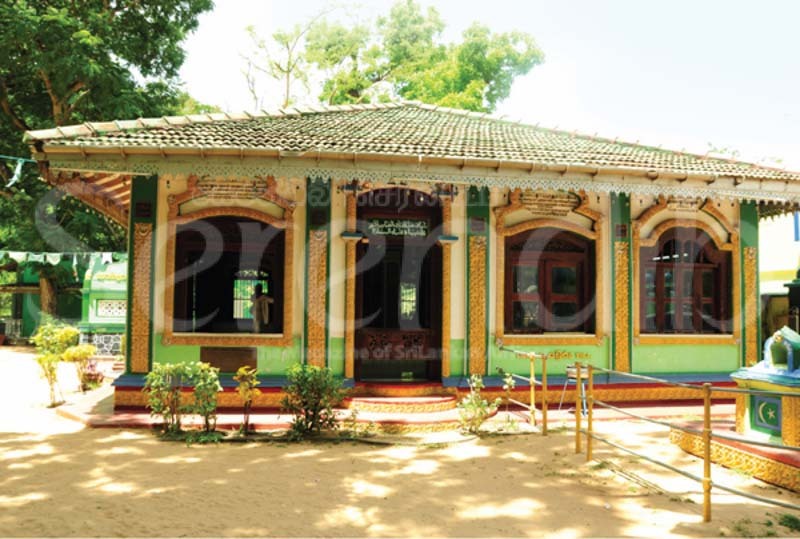 Kataragama also has a Muslim shrine - the quaintly colourful mosque of Ul-Khizr where the bodies of two Muslim saints are buried and where all converge for the flag-hoisting that takes place before the Kataragama festival usually held in late July/early August. Large crowds descend on this rural township for the festival, transforming it into a bustling pilgrim centre, with stalls and shops springing up to cater to the influx. From Jaffna along the coast via Batticaloa and Yala, trudging through the jungle facing innumerable hardships along the way, come another motley band of pilgrims on the ‘pada yatra' (foot pilgrimage) to Kataragama. As chants of ‘haro hara' fill the night air, the perahera procession with the Basnayake Nilame, temple officials, elephants, drummers and dancers wends its way to the temples within the complex and then to the Valli Amma temple, before returning to the Maha Devalaya. Devotees throng the devale premises carrying vessels of camphor and holy ash to see the grand procession of drummers, elephants and kavadi dancers with their fluttering peacock feathers. Then there are those who perform amazing acts of self-immolation, piercing their cheeks and tongues with needles, hanging from iron hooks, their minds exalted so they feel no pain. The firewalking ceremonies for which the Kataragama festival is famous, take place in the main temple yard. The area is prepared with wood being burned beforehand and the devotees after having cleansed themselves and visited the Maha Devale for divine blessings tread the red-hot embers, most emerging unscathed, watched by a hushed crowd. 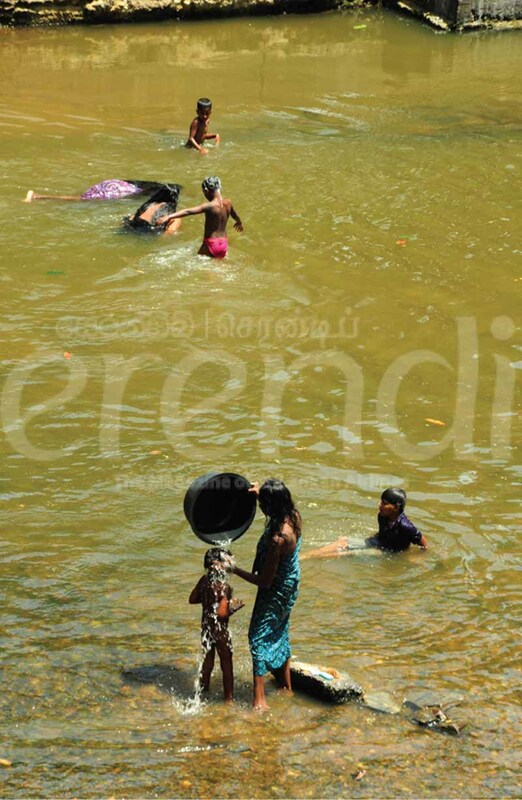 The water-cutting ceremony â€¨(Diya Kapeema) that brings the festival to an official close is held in the Menik Ganga the morning after the Maha Perahera on the full moon night. â€¨The final rite is the devotees plunging into the shallow waters for purification before departing to their everyday lives, carrying within them the sublime imprint of their mystic journey of faith. 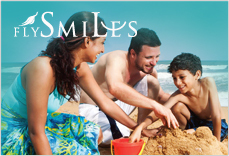 The Kataragama festival begins on August 7th. 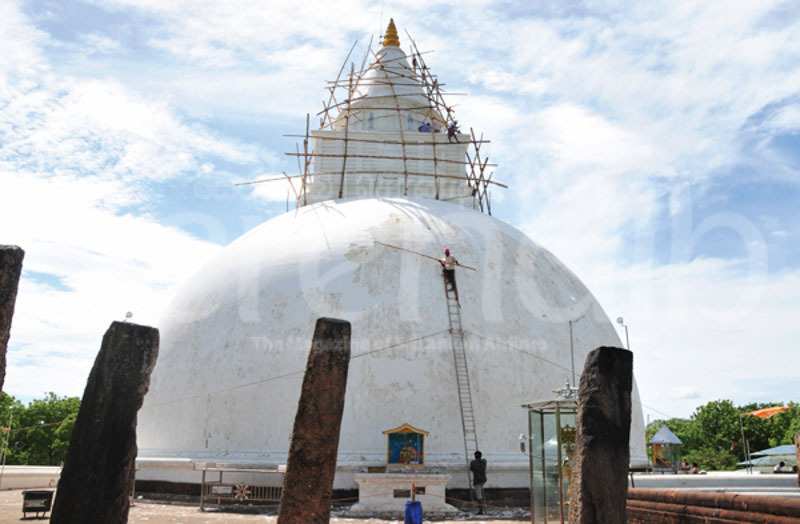 The Maha Perahera will be on August 20th followed by the water-cutting ceremony on August 21st.